Vision Research Inc. creates and manufactures professional cameras for digital cinema as well as high speed cameras that can capture imagery at several thousand frames a second. The Phantom Cine Toolkit allows Mac and Applications to work with the Cine movie files created by these cameras. With this toolkit, Finder is fully aware of these files, including support for Spotlight, QuickLook and QuickTime Playback. 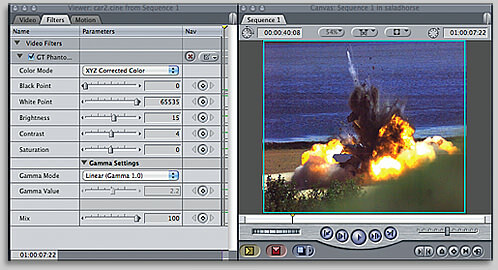 Other applications that are QuickTime aware, will also work with the Phantom Cine movie file format. If you need more information please contact the developers of Phantom Cine Toolkit (Glue Tools), or check out their product website.